The Jeopardy of Contentment: Marah - Angels of Destruction! I told my friends at the Austin City Limits festival two years ago that we had to get to the festival grounds early on Saturday to catch the first show of the day, Marah. Originally from Philadelphia, Marah is one of the best live bands touring today. In concert they remind me of what the Drive-By Truckers might sound like if they grew up on Springsteen instead of Skynyrd. Marah might be the greatest American rock band around and with fans such as Bruce Springsteen, Stephen King, Steve Earle and Nick Hornby (author of High Fidelity) they must be doing something right. As far as Marah's previous efforts in the studio go they can be a little hit (Let's Cut the Crap and Hook Up Later on Tonight, Kids in Philly, If You Didn't Laugh, You'd Cry) or miss (Float Away With the Friday Night Gods and 20,000 Streets Under the Sky). Their newest record, Angels of Destruction!, however, is a consistently great album and it's a good sign that an album this good is the first album I buy this year. Dave Bielanko and his older brother Serge are both talented songwriters and although this is their most mature effort to date, don't expect it to be mellow. The last track on the album, 'Wilderness', may be their hardest song to date and would have worked great as the album opener. The lyrics, as always, tell vivid stories of life in the city in an honest and passionate way. The music is as eclectic as it's ever been with the use of bagpipes, horns and accordion throughout. 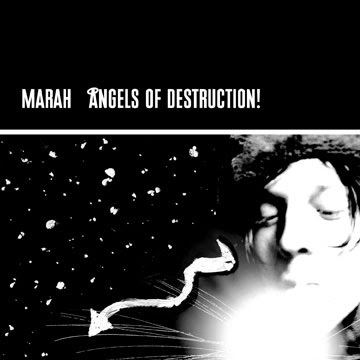 Really, if you are a fan of Rock 'N Roll music of any type, you really need to check out Marah.